In the latest spree of multinationals acquiring smaller rivals around the world, AT&T Inc. (NYSE:T) announced acquisition of NII Holdings, Inc.’s wireless business in Mexico. The American wireless company would undertake companies that fall under the brand name of Nextel Mexico including its network assets, spectrum licenses, retail stores, and up to 3 million of its current subscribers. NII Holdings filed for bankruptcy in September in United States against its outstanding debt of $5.8 billion along with increasing competition from Mexican and Brazilian rivals. 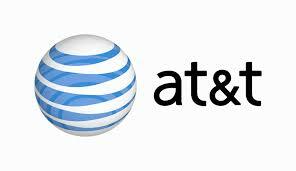 What makes this acquisition more worthwhile is the recent acquisition of Iusacell by AT&T Inc. (NYSE:T). The wireless provider is planning to combine Iusacell with Nextel and it is important to consider that Iusacell has 8 million subscribers along with 3 million subscribers of Nextel Mexico. Nextel Mexico covers over 76 million people with its current wireless network and at the same time, it will allow AT&T to fulfill its plan to create a North American Mobile Service area that will cover over 400 million consumers and businesses. The deal is pinned for $1.875 billion, higher than the acquisition of Iusacell at $1.7 billion. As of now, America Movil is the primary wireless service operator in Mexico with over 70 percent of the market share followed by 20 percent market share of Telefonica.